After launching a new search feature yesterday, and rolling out a new interests-based homepage today, Twitter has been acting mightly strange for the past hour or so, with people reporting seeing random chunks of other user’s tweets in their timelines, including retweets while using the Twitter web client and browsing. Twitter is aware of the problem and tells me it’s not a security issue — and that it’s working on getting it resolved. 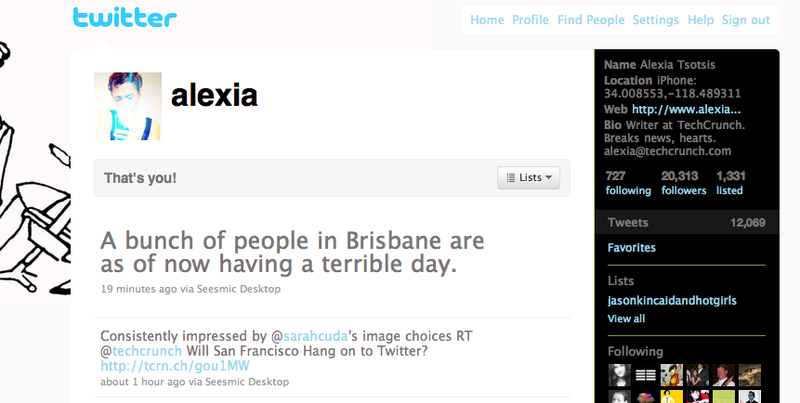 The solution apparently involves disabling #NewTwitter, which has lead to retro jokes galore on where else, Twitter. As of yet there’s no word on when it’ll bring the redesigned site back. Update: And #NewTwitter is back, from the looks of it.